Treating carpet spots and stains isn’t an exact science. In fact, successfully removing them yourself can depend on how long it’s been untreated, and even the pigment of your carpet’s fibers. Although, it seems quite random, it’s the difference between a spot and a stain that makes the difference. Here’s a quick breakdown so you know if you can deal with it yourself or if it’s time to bring in a carpet cleaning professional. What’s a Spot and How Do I Remove It? The difference between spots and stains is that a spot is only on the surface of the fibers where as a stain has actually penetrated the carpet fiber and changes its color. Therefore, it’s often easier to apply a do-it-yourself treatment to remove a spot on your carpet than it is a stubborn stain. 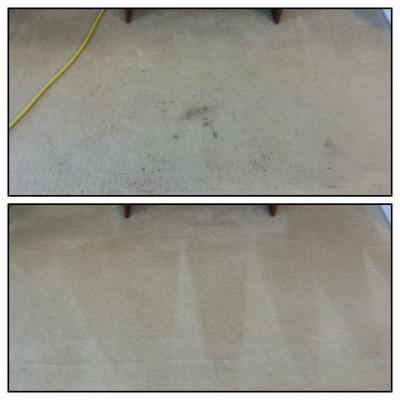 The sooner you treat your spot, the better chance you have of removing it from your carpet’s fibers. However, it’s important to be aware that some spots such as nail polish may require the help of a professional. If you can’t get it out yourself by combining 2/3 cup of cold water with 1/3 cup white vinegar, it’s time to bring in a professional, like Chem-Dry of Tampa (813) 402-8403. Not all stains are created equal. While some stains are relatively easy to remove yourself, others can be downright impossible. This is because some stains contain harsh chemicals that can’t be simply treated with a water based mixture. It’s important when trying to remove stains yourself that you never scrub in a back and forth motion. This can damage the fibers in your carpet and help set the stain further. If your carpet fibers are damaged it could result in having to replace your carpet altogether. It’s also important to attempt to clean a stain as quickly as you possibly can.